Elyse Sings at Blossom Dinner! 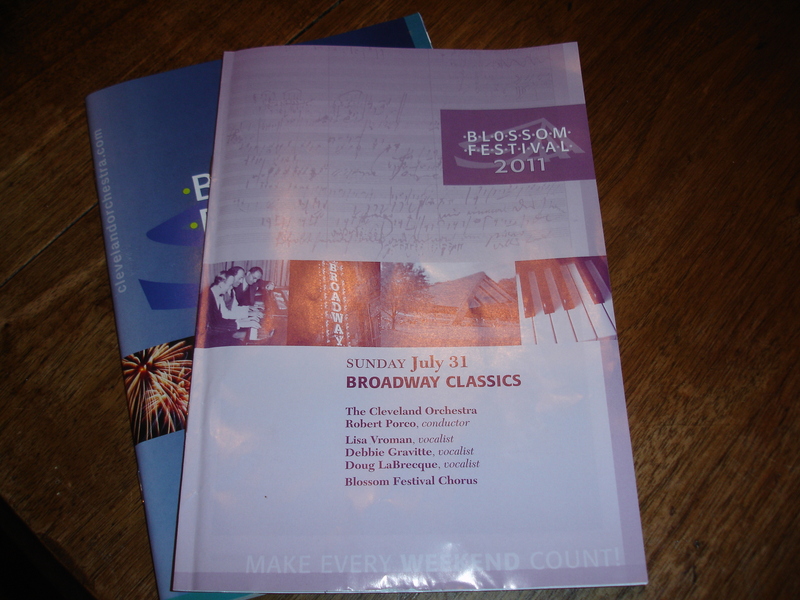 Our “other Daughter in-law” sang at Blossom Sunday with the Cleveland Orchestra Chorus. Normally we would have had a picnic at Blossom but we had quite a bit to do at home so we did a quick stir fry and what has become one of our new favorites coconut rice. 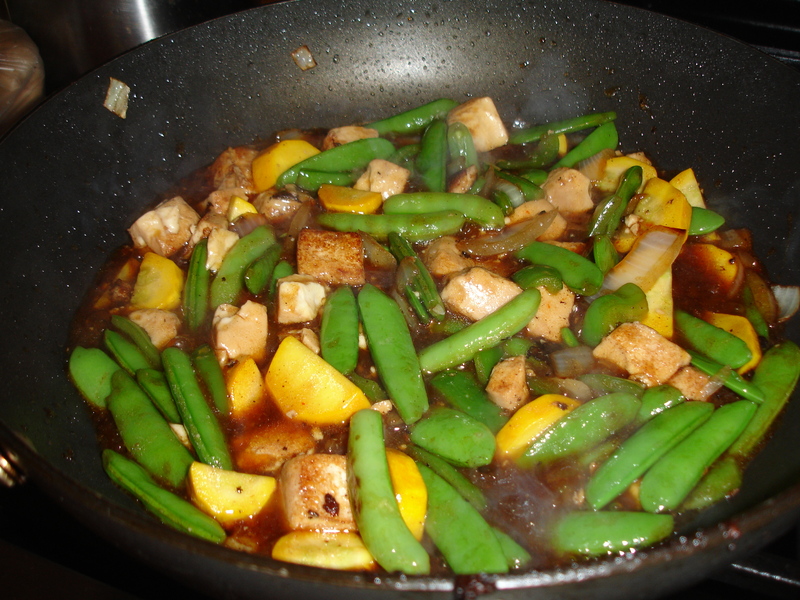 The stir fry was with extra firm tofu, sugar snap peas, yellow squash, garlic, and onions. I slice the tofu and put it on paper towels and paper towels on top and then a plate on top of that to remove as much moisture as possible. After about 20 minutes I cube the slices and the stir fry was with a thai garlic chili sauce with soy, oyster sauce, chicken broth and a small amount of corn starch to thicken it. I had started the coconut rice in our rice cooker earlier and it finished right on time to be served. 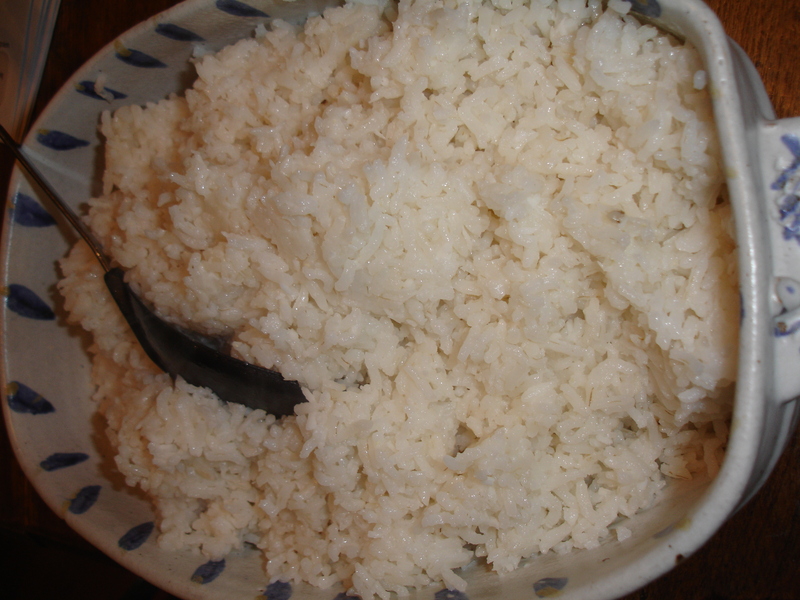 The rice is just divine and does not have to be made with a rice cooker the link is to a rice cooker recipe but a standard one is listed as well. The taste and texture of this rice is great and we will be making this again! This entry was posted in General on August 3, 2011 by Kim Galizio. Well I would hope that you would. I think I can get a pretty good price for it on E-Bay!! It was a beautiful show, and we were so excited when we sat down and found that Elyse’s name was in the program! And Kim made a great dinner before the show! We got the sugar snap peas from Wah at he Farmer’s market. They were so fresh, and I love coconut, so I loved the coconut rice. We got the idea from a meal we had when we were at Chautauqua early this summer. Does anybody else think about how happy it must make our farmer Matt feel when we have a nice soft rain like we did today? I think about his farm now in such a personal way, but also how helpless farmers must feel sometimes as well. You can do nothing about the weather!